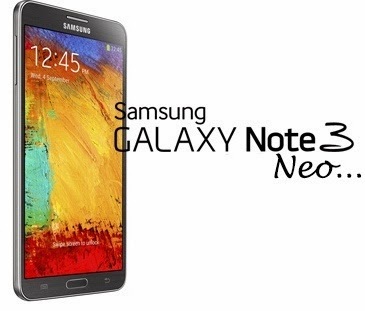 Samsung has officially unveiled the lite version of its Galaxy Note 3 flagship phone, the Galaxy Note 3 Neo. Galaxy Note 3 Neo sports a 5.5-inch Super AMOLED display with a resolution of 720x1280 pixels. The non-LTE (4G) version of the phone is powered by a 1.6GHz quad-core processor (Samsung has not mentioned the name of the chip though). The device, which has already made an appearance on Samsung's Polish website, will be available globally in three colour variants - black, white and green in February. The LTE version is powered by a hexa-core processor, in line with earlier rumours. It's powered by an A15 1.7GHz A15 dual-core plus 1.3GHz A7 quad-core chip. The phone has 2GB of RAM and 16GB internal storage expandable up to 64GB via microSD card. The phone is backed by a 3100mAh battery. The Galaxy Note 3 Neo sports an 8MP rear camera with BSI sensor, auto focus, smart stabilization, and LED flash (with high CRI), and a 2MP front facing camera with BSI sensor. The phone runs android 4.3 Jelly Bean with Samsung's TouchWiz UI layer on top. It packs a stylus (S-Pen) complete with most software features of Note 3 including Air Command, Easy Clip, Multi Window and My Magazine. In terms of connectivity options, the phone supports Gigabit WiFi (802.11ac), NFC, Bluetooth 4.0, GPS, and Infrared blaster port.